John Gallagher is the founder of Clean Bite, LLC and co-inventor of Clean Bite™ and Clean Bite™ II. The company develops products that provide oral hygiene for both people and domestic pets. 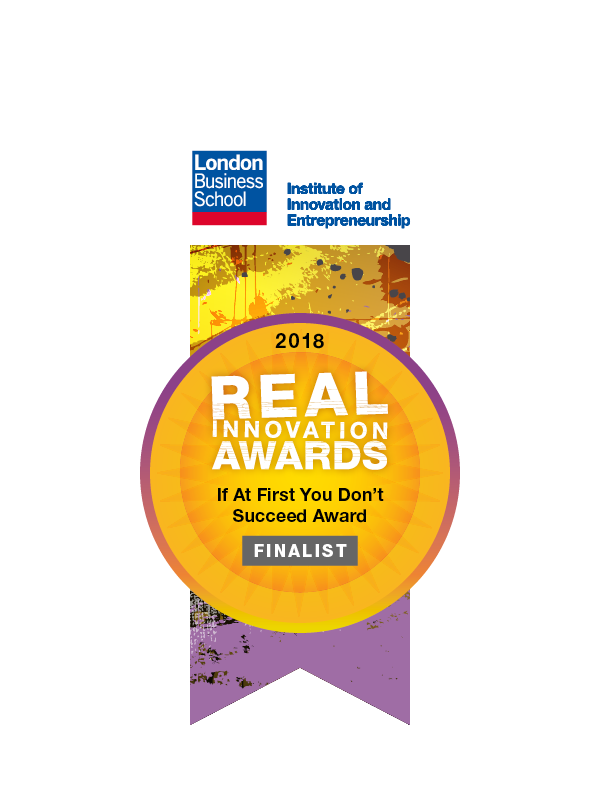 Clean Bite™ is a toothbrush for people who want to brush their teeth whenever situations prevent the use of traditional means whether due to where they are or even physical disabilities. Clean Bite™ II and soon to be Clean Bite™ III are two oral hygiene products for dogs and cats that are designed to clean the pet’s teeth and freshen breath. Clean Bite™ is U.S. Patented, while Clean Bite™ II shares the same patent and is Patent Pending for aspects of the product formulation and design that are unique to the “Oral Hygiene Appliance for Animals.” Clean Bite™ III when introduced will be representative of the existing filings with the USPTO but will also cause for additional filings for patent protection. The Clean Bite website (www.CleanBiteTM.com) is being updated to reflect the new Patent Pending Clean Bite™ II and Clean Bite™ III to fill out the trio of toothbrushes for humans and their best friends. Clean Bite™ is the most unique single-use toothbrush in the world. Made from a collagen-based formulation, it dissolves and is fully ingested at the conclusion of its 60 to 90 seconds of utility. It has the appearance of a mouthpiece, but contains upwards of 800 bristles, four reservoirs of dentifrice and has the duplicity of acting as a delivery system for Active Pharmaceutical Ingredients (API) to meet needs found in the developing world and various populations under managed care. All these products are available for out-licensing in regions throughout most of the world. Regions within the U.S. are available under certain agreements. 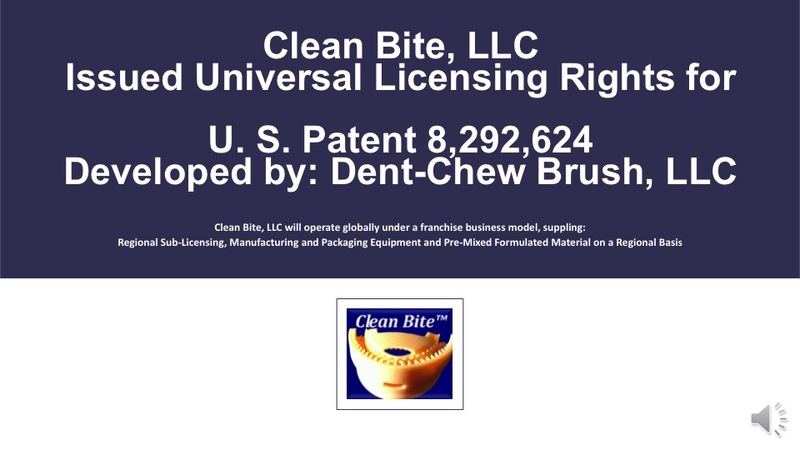 DCB, LLC’s, U.S. Patented Clean Bite™ is the world’s most advanced single use toothbrush. Looks like a mouthpiece but is made of a foodstuff that dissolves after utility and is totally ingested, enabling it to also act as a delivery system for various Actives e.g. vitamins, encapsulated vaccines. Purposely addressing oral hygiene domestically and combining treatments for other systemic disorders and diseases in the populations of the developing world. Although dental caries are largely preventable, domestically they remain the most common chronic disease of children aged 6 to 11 years and adolescents aged 12 to 19 years. Tooth decay is four times more common than asthma among adolescents aged 14 to 17 years. Under this premise the largest of the domestic markets is “at risk children” receiving meals at school numbering more than 31M out of a student population of 52M. Dental caries also affects adults, with 9 out of 10 over the age of 20 having some degree of tooth-root decay1. Among the populations of “at risk children” and those who have often transitioned into the populations of the underserved, poor dental health proves to be devastating. 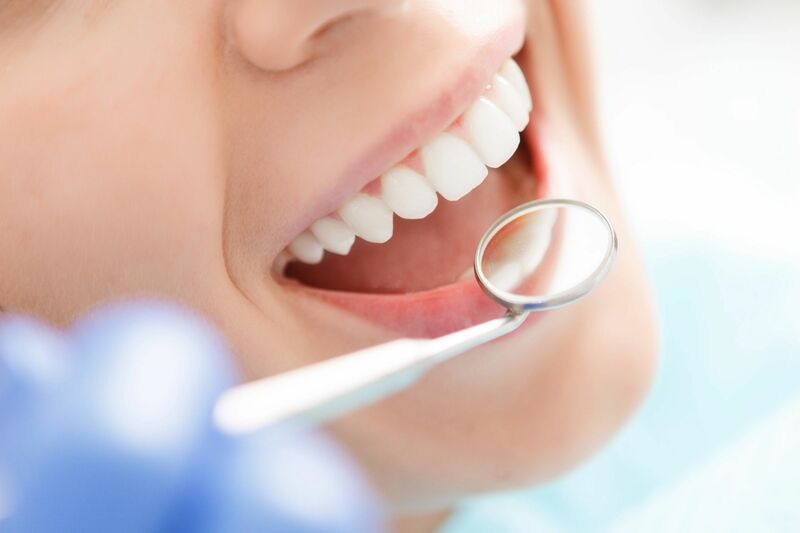 Recently recognized, oral health is not confined to the mouth but rather is a primary indicator of a person’s overall health. The patented Clean Bite™ is intended to provide oral hygiene unmatched by any single use toothbrush available anywhere in the world, while addressing global health issues in ways never imagined.